ChineseBites signature dishes tour dinner #13 at Little Sheep Mongolian Hot Pot restaurant on Kingsway in Burnaby on August 28, 2013. 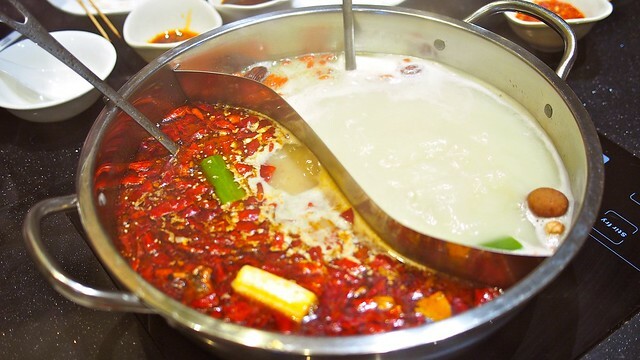 AYCE Chinese hot pot can be a delicious yet deadly proposition. 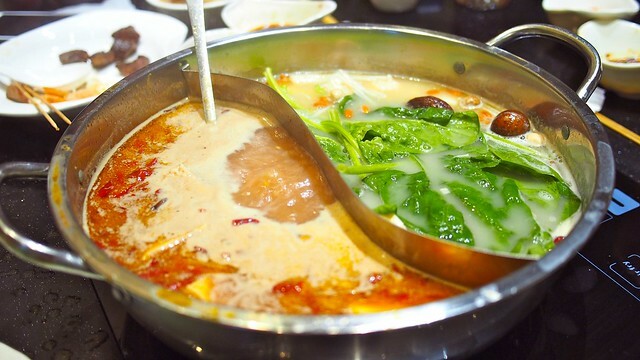 We ventured into Burnaby (they also have a location in Lansdowne Centre mall in Richmond) for some Mongolian style hot pot at Little Sheep for this ChineseBites meal. All the usual seafood and meat fare was consumed and then some. I found the raw ingredients pretty fresh, well cut, and prepared. 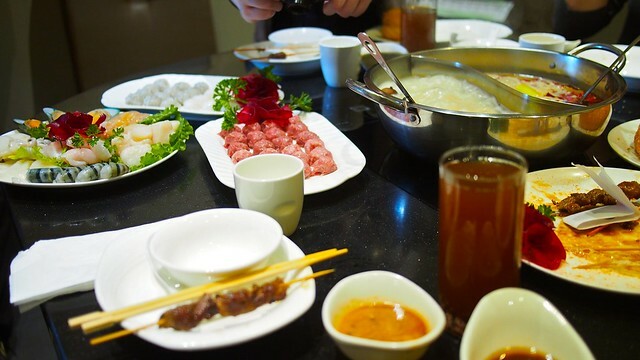 The variety of meat balls in particular were great (beef, shrimp, and fish). I liked their separate DIY sauce counter where you got to mix your own hot pot dipping sauces. They had all the staples, soya sauce, black vinegar, chili oil, chili sauce, peanut sauce, and satay. They complemented the broth well. I always stick to the spicy side. There were a ton of peppers and garlics thrown right into the soup. 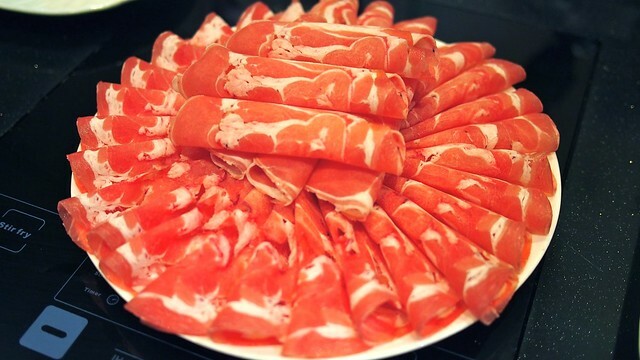 I was quite satisfied with the hot pot service at Little Sheep. It felt a little lighter and less intense but still very filling and refreshing. This location was packed well into the evening. I can see why. 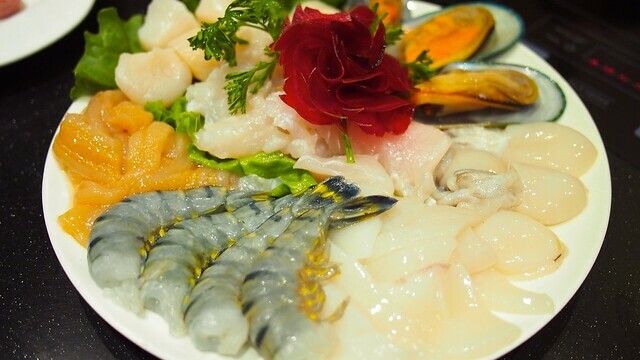 It's a solid choice and destination for Chinese style hot pot dining at twenty bucks a person.